We invented the Layover Tour in Panamá! Tocumen Int´l airport is the entrance port to Panama City and the country of Panama. Tocumen Int´l is the busiest airport in Latin America, and as such serves as a Hub for departures to many others destinations. 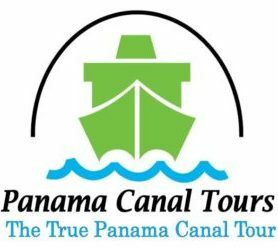 With this mind, Panama Canal Tours, in conjunction with Continente Ivantours, tour operator, has designed the most interesting memorable and enlightening tours specifically created for the traveler facing and extended airport layover before their next flight. Don’t let yourself be bored waiting needlessly in the airport. Contact us and we’ll happily pick you up at the airport and entice you with a look at the authentic Panama. These tours are also available from Howard (Panama Pacifico) and Albrook Airports. Don’t accept imitations that only waste your time and don’t give the chance to discover the true beauty of our country. We created and have perfected The Layover Tour In Panama. If you’re scheduled for a layover of 5 hours or more at the Tocumen Int´l airport and wish to experience the wonders of Panama City; visit the world-famous Panama Canal or the Frank Gehry Biodiversity Museum, where you’ll discover just how Panama changed the world, this is your opportunity. 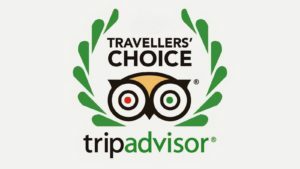 Our professional driver/guides will take you on an unforgettable tour of the city. You’ll get to see sights and visit places out of the ordinary and not usually available on established tours. We pride ourselves in offering something beyond typical. We don’t intend to just sell a simple tour, we intend to leave you with a yearning to return Panama to conquer her. To repeat; we don’t do ordinary, our driver/guides know how to escape the traditional tour, giving you the chance to experience a true taste of our beautiful country. Three simple requirements. These are the same, universal requirements which exist in any other international airport where you wish to abandon the airport during a Layover. Carry your passport showing at least 6 months until expiration. Be prepared for the possibility that immigration official requests that you show economic solvency which, generally, amount to $500 USD. In the case of cash, you would only need to show them the cash, not turn it over. If you don’t carry cash, you may also show a bank or credit card statement, authenticated and stamped by your bank. This requirement is very uncommon and seldom requested but the possibility does exist. Complete the online reservation form and within 24 hours you’ll receive an email containing all the details of your Layover Tour. Or, please feel free to send us an email to: info@panamacanaltrips.com, containing the following information. Visa or Mastercard Credit Card Number (we currently only accept these two types of cards). This is for the corresponding pre-pay. Full Names of all the passengers who will be doing the tour. Telephone number (where you can be reached, can be local panamanian number or that of your city of origin). Flight Number, airline, city you will arrive here from, time of your scheduled arrival, time of departure after your layover. Airport you plan to arrive at in Panama. Upon receiving your tour request, our sales and reservation agents will return to your reservation details. Within 24 hours you will receive your confirmation details, the name of the driver/guide who will be picking you up at the airport and a telephone number if you need to contact them. Your assigned driver will be awaiting you at the airport exit holding a sign with your name. At the end of the tour you will be dropped off back at the airport in time for your departure flight. Can Luggage Be Taken on the Tour? Your are welcome to bring your luggage with you on your tour. It will be secure in our vehicle. Inside the airport you will also find secure lockers where you may wish to deposit your baggage for greater security and convenience. Please contact the airport baggage personnel upon your arrival for more details regarding baggage storage.